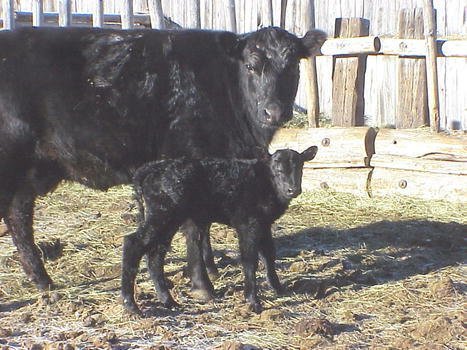 The Pearson Angus Ranch is located approximately 2 miles northwest of Daniel, and 11 miles west of Pinedale, Wyoming. Cris can be reached by e-mail at: cowgirl@wyoming.com. Copyrights: Photos and page text content copyrighted, Cris Paravicini, 1999-2001. No part may be reproduced without permission of the author/photographer. Page graphics copyrighted, Pinedale Online, 1999-2001.